Oct. 14th, 2014, marked the 50th year anniversary of the day Dr. Martin Luther King Jr. was awarded the Nobel Peace prize, considered “the world’s most prestigious prize,” for his commitment to peace and racial justice through nonviolent action. 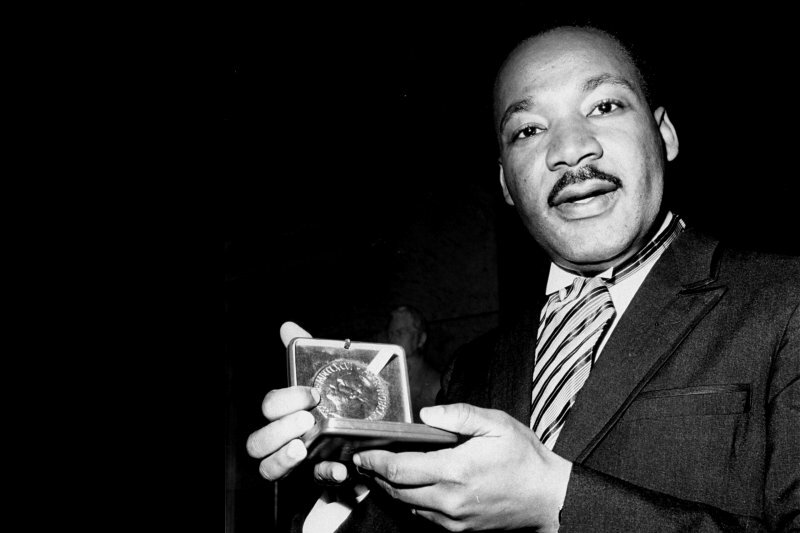 Just 35 years old, Dr. King became the youngest male ever to receive the award. Today, 50 years later, the United States remains a long way from reaching the goals Dr. King strove to achieve, particularly in the areas of economic and legal inequalities. Throughout our country we still see the traces of the kind of racism and social injustice he fought to eradicate. We would do well to remember his famous words of 1963, written from a jail cell in Birmingham, Alabama: “Injustice anywhere is a threat to justice everywhere”. As Dr. King once wrote: “Our lives begin to end the day we become silent about things that matter.” Let us not be silent about the truth of these men’s lives and deaths. It matters. Watch Dr. King’s Nobel Peace Prize acceptance speech video on YouTube.